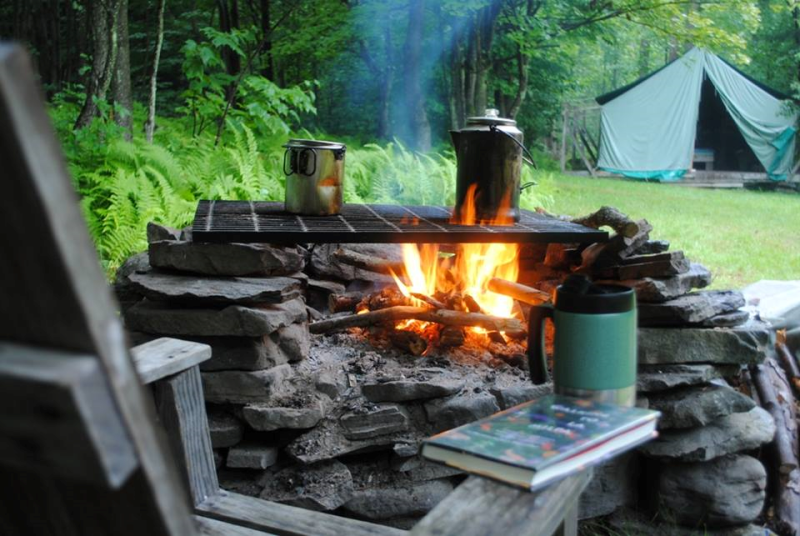 Quiet, peaceful family-oriented campground in the western Catskills, located on a pristine 766-acre natural site. It’s a truly unique experience of disconnecting from the busyness and rush of daily life in order to reconnect to family, friends, self, nature, and God. Free rowboats, canoes, kayaks, fishing, and activities included. 3 types of camping: cabin tents with fully-equipped kitchen and sheltered dining area, traditional bring-your-own campsites, and secluded RV sites. Facilities: bathhouse with family bathrooms, playground, grassy pond beach, outdoor and indoor volleyball, small camp store. Barn with sitting area, nature center, library, games to borrow, free wi-fi. As a family-oriented campground, we do not allow alcohol.